Badger is looking for a home as a hack only. Badger cannot sustain ridden work in an arena, and so it is important that he goes to a home where he will be hacked only. He has a heart of gold and is incredibly well behaved. 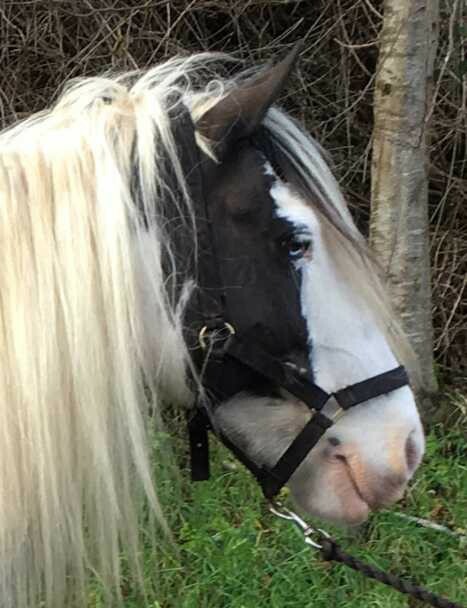 He is very easy to handle in and out of the stable, and gets on well with others. Badger is good to hack with or without company and is good in traffic. He enjoys coming in for a groom and some fuss and will happily live in or out. Badger requires a nose net in the summer months when ridden and needs sun cream on his nose in sunnier weather. He is good for the vet and farrier. If you are interested in rehoming Badger, please apply online. 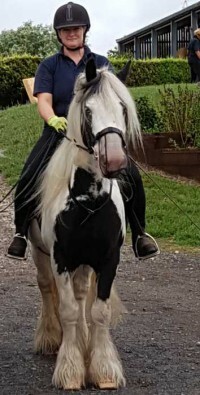 Badger is a laid back, friendly pony. Badger came into Penny Farm after being found abandoned in field.